It’s the CUP FINAL SPECIAL! 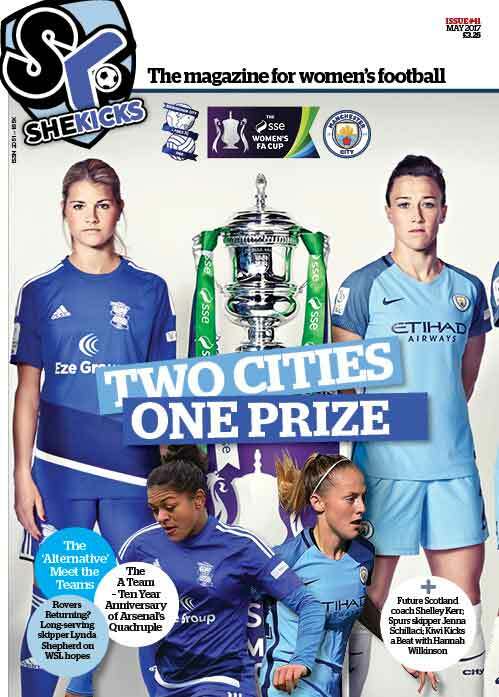 Get Issue 41 ordered today to receive it in time to read about the cup final teams, plus interviews with Jess Carter & Marc Skinner (Birmingham City), Toni Duggan & Keira Walsh (Manchester City). Only £3.25 + postage. 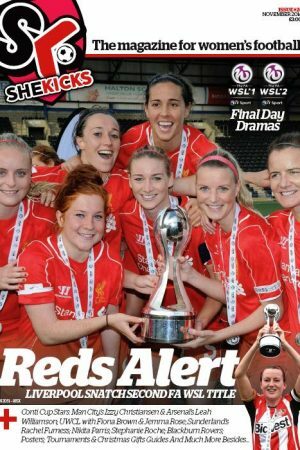 It’s 10 years since Arsenal won the Quadruple, so we look at back at that success and ahead to the UWCL Final in Cardiff on 1st June. 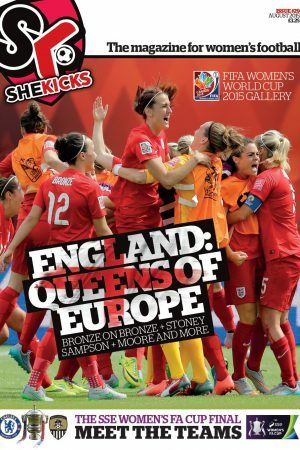 Also included are coaches Shelley Kerr, Willie Kirk, Kiwi Hannah Wilkinson, plus news, fun, pics and an England poster. 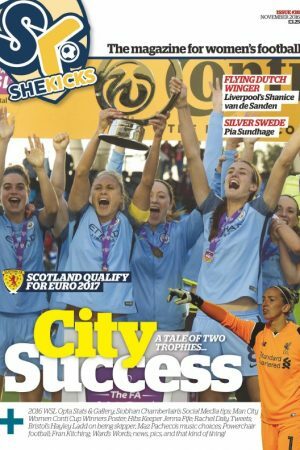 If you want to order multiple copies, have a query or just prefer to order over the phone, please call 0191 442 4001 (during office hours) or email anthony@shekicks.net.